Upon Turkish authorities’ reluctance to start an investigation into the abduction of Murat Okumus, a 40-year-old accountant who was a manager at the government-closed Sifa University Hospital in Izmir, his mother is now asking for help from the government officials. Releasing a video footage on Sunday, Okumuş’s mother said she has not heard from her son for over 10 days and thereby waiting for an action from the authorities. Okumus was reportedly abducted on June 16, marking second forced disappearance in a week. “I am the mother of Murat Okumuş, who was abducted on June 16. Murat Okumuş used to work at now-closed Şifa Hospital. He was a benevolent family man and a father of two. He has never put us to shame. They abducted my son. I am worried about my son. If you have seen him, please let us know. They [witnesses] acknowledge that he was abducted.The [witnesses] saw him. There were two vehicles. And there was a brawl. His shoe came off when he was [forcefully] being put in the car. They closed his mouth and put him in the car. And they [the witnesses] got scared. [Abductors] told them [the witnesses] that they were police. They told them that police would not do such a thing. They called 155.155 comes and watches all the camera footages And says that they [abductors] were from the counter terrorism unit. We have failed to get a answer from any institutions. I want my son.I am waiting for [an action] from the state authorities. We are loyal to our country. We love our nation and country.I want my son. We have not heard from him for 10 days. I am so upset. Today is eid al-fitr. And I have waited for my son who has not showed up. Our doors are knocked and I open them. [This incident] spoiled the all pleasure. I have not heard from my son. I am so worried. I am waiting for any news from the state authorities,” the mother said. Following the incident, a Twitter account was launched by his father late on June 22. “MY SON WAS ABDUCTED! I have failed to get a satisfactory answer from the institutions I talked the issue with. I want to make my voice heard and address to the authorities, here,” said a tweet posted from the account. Okumus was the operations manager at Izmir-based Sifa University Hospital, shuttered over its links to Turkey’s Gülen group, which the government accuses of masterminding the July 15, 2016 coup attempt. “We haven’t heard from my son Murat Okumus since 6 pm on June 16, 2017. Born in 1977, he is an accountant and he has two kids from his marriage. Local to his country and family, he is a successful and honest family guy,” the same Twitter account said. Okumus was last seen getting into a central Migros food store in Izmir’s Bornova district on the night of June 16, his alleged father said adding that new details emerged only after his own efforts to investigate the issue. “Even though we asked all police stations and hospitals, we got no record of him. …As a result of our own search, we found out that an abduction incident had taken place the same time on the same day. Witnesses confirmed the likeness of my son’s picture and his clothing. The man abducted back then is, in fact, my son Murat Okumus,” he added. One of the cars is a Volkswagen Caddy with a license place starting with 45 while the other one is a Totoya Auris, 20 AK 171, witnesses told the father. “They told the people around that they are police. But the witnesses did not believe what they were told and called police to the area. Police dispatched to the area examined the CCTV recordings and the license plates in question and told the witnesses that the man was taken by their fellows from the police’s Anti-Terror Department,” the father said. “I demand answers for these questions,” the Twitter account continued. White Renault Toroses were common vehicles that the gendarmerie intelligence allegedly used when abducting Kurdish politicians and businessman during 90s, according to witnesses. 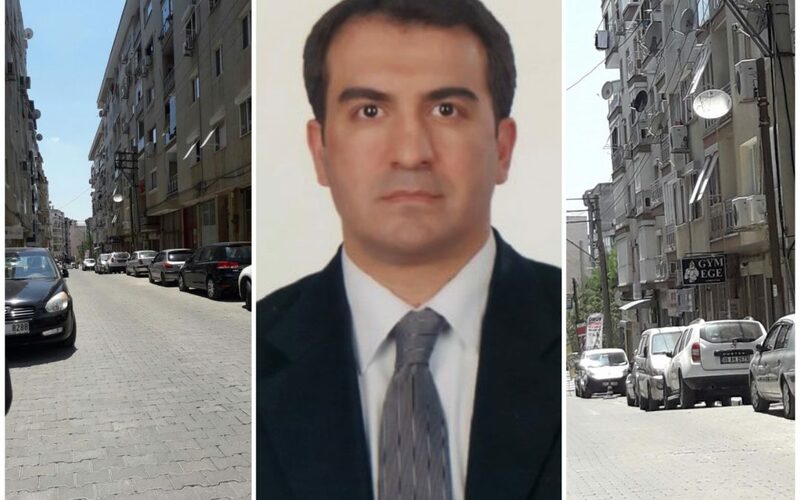 Okumus’s abduction came only a day after Cemil Kocak, another post-coup victim was forced into a black van in broad daylight in Turkey’s capital province of Ankara. Koçak, an engineer who was dismissed from a government position over his alleged links to the Gülen movement, was followed by four cars (a black and a white Ford Focus, a VW Transporter van and a Fiat Doblo) at around 5.30 pm near his home in Ankara’s Altindag district on June 15, a Twitter account claimed on Saturday. At least 10 cases of alleged abduction including that of Okumus have been reported so far. Previously, an engineer, three teachers, a lawyer, a university employee, two intelligence agency officials, an Information and Communication Technologies Authority (BTİK) employee and a Competition Authority employee have been reported while one of the teachers was handed over by unidentified men to police after spending 42 days out of sight.